1. What is an Internet domain name? Domain name is a name easy to remember used as address on the network. It replaces a range of numbers difficult to remember called IP address. If you want to build a web site on the internet, domain name registration is the first thing to do, domain name is to help customers find easily your website. 2. How many types of domain name? There are two types of domain: international domain of country domain name. International domains are domain names with tail as com, net, org, biz, info. 3. What is sub domain? 4. Difference between domains com, net, org? No regulations required for international domain names when using . Com,. Net,. Org. Usually domain name with . Com is used for business and trade organizations. Domain. Net is used for companies providing Internet services. Domain. Org is used for government agencies and nonprofit organizations. 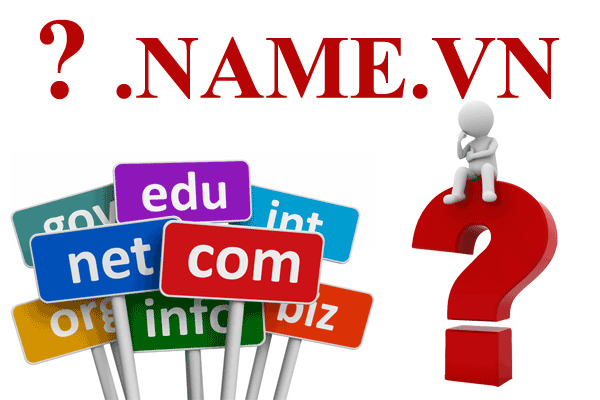 5. Who can register domain name? Country domain name has specific regulations for each country. For international domain name, there is no limitation on the subject registering domain name. All individuals, organizations, irrespective of country can register one ore many international domain names. Customers who registered have full ownership of domain name. 6. Who manages domain names? International domain names and country domain name of level 1 are managed by Internet Corporation for Assigned Names and Numbers (ICANN). Country domain names of lower level are managed by domain management bodies of each country. In Vietnam, agency managing country domain name is VNNIC. 7. Cost of domain name registration? Country domain name has specific regulations for each country. For international domain, the cost of registration depends on the price of each provider. Domain name registration fee is $ 10/year at TinThanhOnline.com. 8. How long is the maximum duration of domain name registration? Domain name can be registered for the period 1 to 10 years. Upon expiry registered, the domain name owner needs to register again. 9. When can registered domain name be used? Depending on the registration service provider, a domain name needs 24-48 hours to be used. 10. Once domain name registration is complete, Can I create a website for me? No, you need to rent space on the server on the internet to host your web site. Refer to table of rent with our server of high quality. 11. Can I register the domain name without renting space on the server? You absolutely can only register domain name first. When the website design is completed, you need server space rent service. 12. I registered the domain name with other service provider, Can I use the services of TTO.vn? You absolutely can, just email, call or fax us, we will guide you further.